At Early Axes we mostly spend our time gaming and discussing gaming in general. Obviously. We are all avid Xbox and/or PC fans. We have a love for gaming and the community. All aspects of gaming, from tech to eSports. We cover it. Now, have you ever thought about the state of gaming in our beloved South Africa? Where is it going? Do we have SA developers? What is the SA eSports scene like? What is the growth and interest like? I’m here to (hopefully) answer all these questions. It has been a while since I first wanted to write this piece, but the timing wasn’t right. It is now. I have always been a gamer, from the first Wolfenstein to the latest Wolfenstein II. I’ve been around the block. Played various games on various platforms. I’m a “from the roots” gamer, I like to see where everything starts and what the driving force is to make the industry a success. 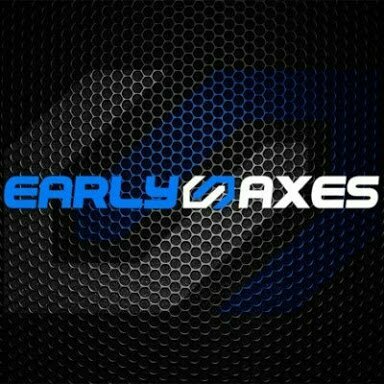 I had a chat with a few of the Early Axes guys to see what they had to say. I was surprised at their replies and angles they took on my simple question. “What is the state of gaming in South Africa?” I combined these thoughts and came to a conclusion. Do we have SA developers? Game development have come a long way in South Africa, there are a bunch of awesome games currently being developed. We just recently featured Unearthed, an up and coming adventure game by indie studio Mad Matter Creative. Most of us have heard about Organsphere, another adventure title with a bit more local flavour. Although we got some fantastic games lined up, it just seems that we are struggling to gain the investment needed in SA. Thus, titles take a long time to see the light. We have the skill and brainpower to achieve great things on the development front, but unfortunately due to lack of funding, most of our great developers leave our shores for greener pastures. We have our very own South Africans working on Wasteland 3, a fantastic AAA title. I believe we will gain investor interest in the future, it’s just a matter of time. The overall growth is good and healthy, although it is extremely slow. We are getting there. Just keep supporting our developers. Is our tech up to date? The main platforms in SA are Xbox, PC and PlayStation. I am not going to go into which one is better, as I believe all platforms have their pros and cons. We are lucky that we are up to date with all the platform an peripheral tech. Although, together with games, they are becoming increasingly expensive due to our crippled economy. Besides this our only issue will be our internet infrastructure and lack of servers for online gaming. All of us have heard our friends shouting over a mic: LAAAAAGGG!!! This is the main issue that haunts us as gamers in South Africa. Lag. The lack of local servers and bad internet connection doesn’t only affect the casual gamers, but spills over to our eSports scene. More on eSports later. We are not completely in the dark though. With fibre lines rapidly spreading and the cost getting cheaper each year, we can finally start seeing the light regarding slow internet as the norm. We have also received some local servers from mainstream titles like Battlefield and more recently Rocket League. The local servers has enjoyed a fantastic reception and much less raging gamers. Let’s hope these local servers has pushed game sales and more developers will consider servers in SA. What is the SA eSports scene like? Something I have a great love for. The local eSports scene has grown rapidly with no sign of stopping soon. Despite our limitations. I have been to most major eSports events and everytime I was blown away by the amount of support these guys get. Proper rivalries are being born between top teams and fans. People walk around with their favourite team shirts. Some friendly banter occur. All evidence of a ever growing scene. Major corporate companies are starting to invest millions of Rands in eSports and the respective teams. Production companies like Mettlestate are being formed to support this scene. Players earn millions and travel overseas to compete in various titles. Professional gamer will soon become a profession. Won’t that just be amazing? Although our eSports scene is mostly focused on PC, consoles are starting to enjoy some more attention. We got a good Call of Duty scene going on PlayStation. Halo has had success as an Xbox eSports. These are just to name a few. Organisations like ACGL and Telkom’s VS Gaming are major contributors to local eSports. Go check them out if you are into competitive gaming. Even Early Axes has its own Rainbow Six Siege league. Unfortunately we struggle to compete on an international level due to bad ping and horrible connections. 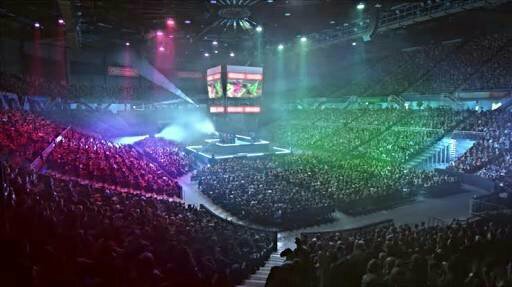 Under the circumstances, SA eSports is a core part of our ever growing need to compete with the best internationally. This is the fastest growing part of the SA gaming puzzle. What’s our communities like? Something close to our hearts. I personally regard this as the heartbeat and force behind gaming. We have some major communities and forums to our full disposal. Be it platform or game based. These communities are full of useful information, competitions and more. Without these, there would no eSports, no new developers and no up to date tech. We create the demand. If you want to see gaming grow in SA, you need to support the communities. Be it by sharing specials, new tech, news or interesting articles. You are a part of this growth. Without the gamers we have no heart, we have no force. To summarise, SA has a healthy growing gaming scene. I like to believe that one day we would be a true competitor in the world of gaming, internationally. Just a few creases we need to iron out.